A huge thank you to False King for once again sponsoring the website this week. It’s always great to have repeat sponsors and since one of the members of the band is a a regular poster in the forums, the comment section has been funny and informative to read on these posts. 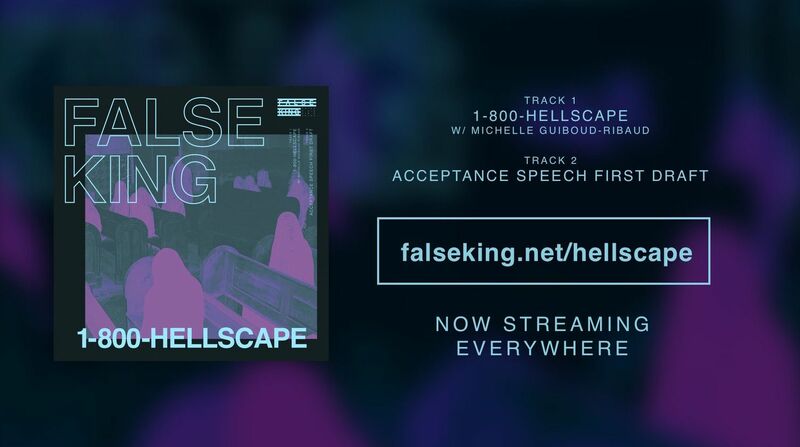 The band released their new single “1-800-HELLSCAPE” with an accompanying video this week and my favorite thing included in the ad copy was when it was described as a “post-metalcore banger.” It’s been described as for fans of Every Time I Die, Daughters, and HEALTH, and it’s totally worth your time. The band can also be found on Facebook and Instagram. Our thanks to False King for sponsoring Chorus this week. More information about sponsored posts and purchasing advertisements on this website can be found here.